2:51 AM high 3.0 ft.
9:05 AM low 0.4 ft.
3:17 PM high 3.0 ft.
9:42 PM low 0.3 ft.
How to reach: To reach the tidal bench marks from the south end of the State Highway 213 bridge over the Chesapeake and Delaware (C & D) Canal at Chesapeake City, proceed south on State Highway 213 for 0.89 km (0.55 mi) and take the South Chesapeake City exit, continue 0.3 km (0.2 mi) NNE (towards canal) from the base of the exit to a signpost directing the way to the C & D Canal Museum, turn right and follow the curving road for 0.2 km (0.1 mi) to a T-intersection, turn right and follow the curving road for 0.6 km (0.4 mi) to a T-intersection, turn left and proceed 0.08 km (0.05 mi) to the main gate of the U.S. Army Corps of Engineers (COE) facility and the C & D Canal Museum. The bench marks are located on the COE grounds. 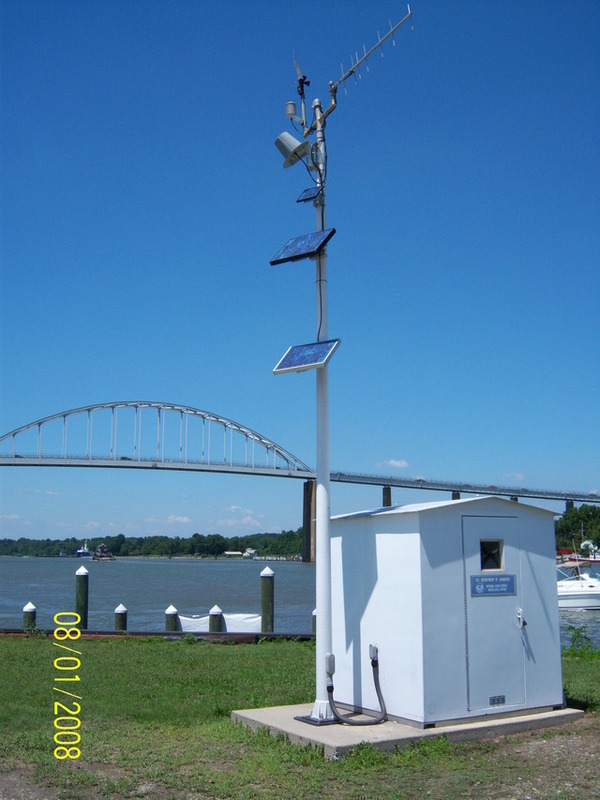 The tide gage is located at the west corner of the bulkhead at the west end of the COE grounds.